Trip & travel are similar words in English but they can be confusing to use. 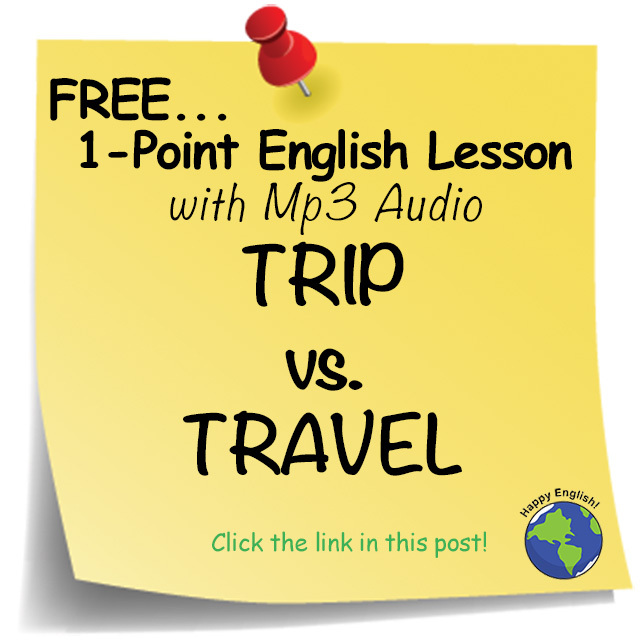 For today’s English lesson let’s have a look at how we can use trip & travel in everyday English conversation. Ken often travels to Europe on business. Most people in the USA travel by car. Jenny is traveling in South America now. My job requires a lot of business travel. You need to have a passport for international travel. In countries like Japan and France domestic travel is made easy by high-speed trains. My last trip to Asia was really exciting. Chris is planning a two-week trip to Central Europe next year. Joe took a trip to Rome. He loved it! I’m taking a trip to Montréal next week. I can’t wait. A lot of my students have gone on a trip to the Grand Canyon. When you go on a trip don’t pack too much in your suitcase.